What a year it has been, from the stress of creating pop-up restaurant concepts to presenting in front of the pitch-off judges to facing the dreaded “chopping block.” Today, our entire Intrapreneurship concentration class is now the Keen-Wah family. 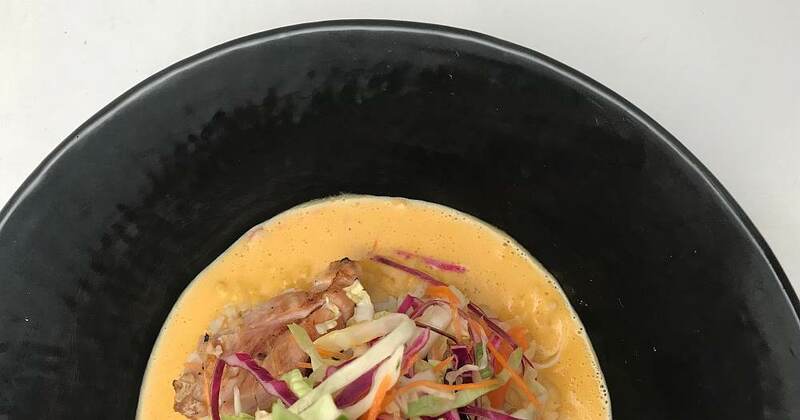 Our concept, Keen-Wah, is an unconventional approach to grain- and plant-forward eating aimed at providing wholesome, delicious food. We have taken an idea and developed a great concept that we hope students, staff, and guests of the CIA will truly enjoy. We recently had the opportunity to showcase one of our dishes at the CIA Menus of Change conference on Tuesday, June 19, 2018. The industry has been on the path of creating clean, sustainable foods that emphasize and celebrate—but are not limited to—plant-based foods such as grains. 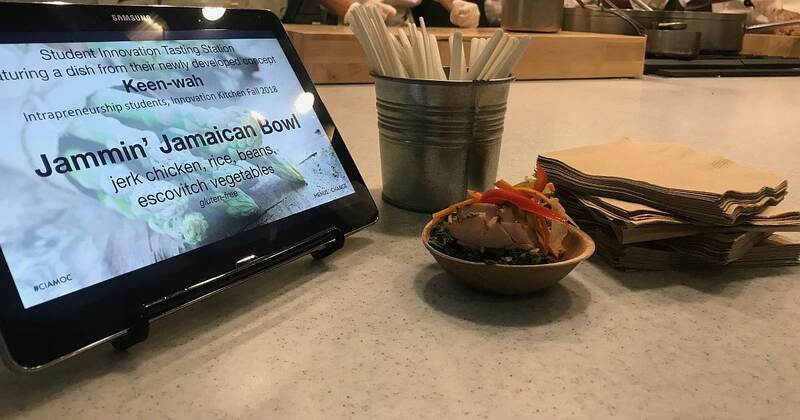 “We got a glimpse into what the industry is swaying towards at the Menus of Change conference while keeping our identity” said Keen-Wah General Manager Elora Duffett. Menus of Change was a great platform for us to showcase our brand and experience how our concept will work down in the Innovation Kitchen at The Egg. We are still in the menu development aspect of our concept and are working on some great ideas for our opening menu, pipeline items, and sweet treats that we hope our guests will appreciate. We, the Keen-Wah family, truly learned to work as a cohesive team, and we are excited to share our concept with the CIA family in September 2018. Stay tuned to witness our unconventional approach to grain- and plant-forward eating that highlights a variety of cultures.